Careers in private and professional investigation have become among the hottest areas of post 9/11 employment. Investigation Education Consultants, Inc. is the premier source of education and training for investigators. IEC, Inc. provides consulting services to educational institutions in the specific career areas of professional investigation and security management. IEC designs college level, turnkey academic courses and programs for colleges and career schools who desire to offer a professional investigation certificate or degree for a specific career path. Our only aim is to assist educational institutions in providing a high quality investigation program that changes lives – one at a time; and grants to each graduate a new beginning as a professional investigator. The principals of IEC are experienced professional national trainers and educators specializing in custom designed, collegiate level professional investigation, security, personal safety, emergency preparedness and Homeland Security courses, created to educate, train and prepare students to enter one of these chosen disciplines. Investigation Education Consultants, Inc. (IEC) is a Florida based corporation whose sole mission is to provide consulting services to educational institutions, offering students a certificate or degree in professional investigation or security management. The principal and owner of the Corporation is Rory J McMahon, CLI, CFE. Rory McMahon is a former U.S. Probation and Parole Officer in the Southern District of New York and the Southern District of Florida. He supervised organized crime figures in both jurisdictions. Rory has been a licensed private investigator in Florida for fifteen years. He is a Certified Legal Investigator, a distinction held by fewer than one hundred investigators worldwide. He is also a Board Certified Criminal Defense Investigator (CCDI), a Certified International Investigator (CII) and a Florida Certified Investigator (FCI). Rory is the author of two textbooks on the subject of investigation, Fraud Investigation (revised 2008), and Practical Handbook for Professional Investigators, 3nd Edition (2013). He is the owner of McMahon and Associates Detective Division, a very successful private investigation agency located in Ft. Lauderdale, Florida. He was a founding father of the Florida Association of Licensed Investigators (FALI), and has served on the boards of FALI, the South Florida Investigators Assoc. (SFIA), and the National Association of Legal Investigators (NALI). He was the Department Chair of the Private Investigation Services Program at City College from 1992 thru 1997. He presided over the growth of the program from one to three campuses. He authored most of the textbooks used to teach the classes while serving as an Associate Professor. 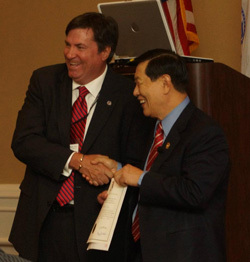 In May 2009 was named the FCI of the year at the FALI conference in Orlando, FL. During the past 12 months, Rory has worked to completely revise the PI program with new material, new textbooks, and a powerful new direction. The program consists of nine core courses, which are well suited to certificate or degree and formatted for traditional classroom or distance learning. All materials for the course were approved for U.S. copyright in July 2004. Richard Harris served in the Public Safety field for over 17 years. He worked in several areas of the Police and Fire Service including Chief of Department. 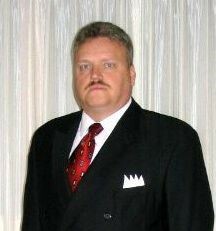 He has been in the Private Investigation field both in a part time and full time status for over 16 years and has conducted training for Police and Fire Departments for over 25 years, provided private consulting services to Police and Fire Departments for over 20 years and trained and consulted for Private Detectives and Security Officers for more than 16 years. He has authored “Marketing Checklist for the Private Detective and Security Agency”, “Red Flags of the Fire Fraud” and “Expert Testimony and the changing Case Laws” as well as many other programs related to the Fire, Police, Private Detective and Security areas. He has a Master of Fire Science Certificate, BS in Fire Safety Management as well as thousands of hours of other related training certificates. He has served on many National and State Committees in the areas of Investigation and has taught at Colleges and Universities throughout the United States on topics relating to Fire, Police and Private Investigation and Security. Investigation Education Consultants, Inc. (IEC) provides consulting services to educational institutions in the specific career areas of professional investigation and security management. IEC designs collegiate level, turnkey educational courses and programs for colleges, universities and career schools that desire to offer a professional investigation or security management certificate or degree as a specific career path.